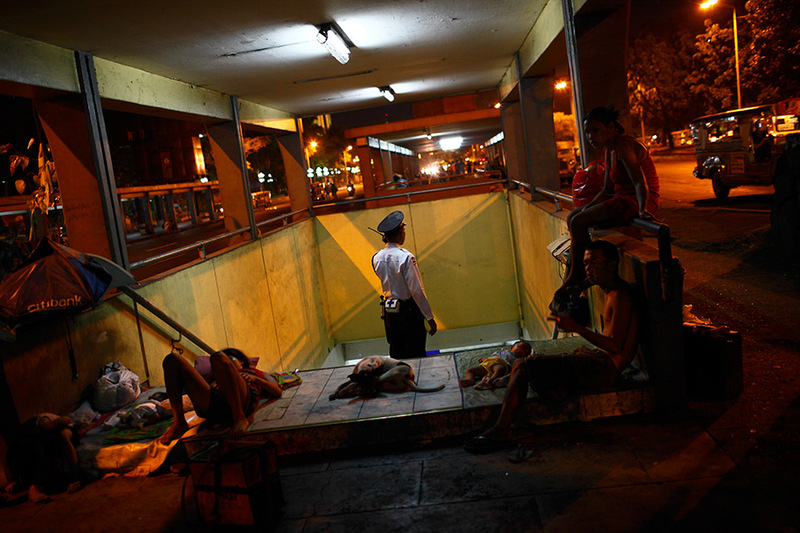 A security guard for the underpass comes up to the living quarters of the homeless persons in the evening and makes a radio call. The underpass structure connects the bus terminals and is used by many. But the homeless persons have made their living quarters right in the middle of this busy place.